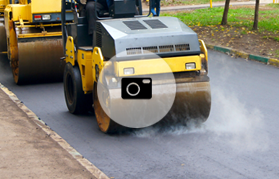 For quality paving, turn to R. Smith Paving Contractor, Inc. Our paving company in the greater Delaware Valley, provides a wide range of paving services to meet your residential, commercial, and industrial needs. This is not all we offer. Our company also provides excavating service and snow plowing. We provide asphalt services and repairs for your home, warehouse, hotel, restaurant, farm, gas station, shopping center, or any other type of business. It does not matter how large or small the task is – we have the equipment and knowledge to complete any job. Since the start of our company, R. Smith Paving has stayed state of the art with the latest equipment and ongoing employee training to insure the highest quality of work. Whether your needs are residential, commercial or industrial, we have the equipment and skill set to get the job done right. Bottom line is we take great pride in our finished product. © 2019 R. Smith Paving.